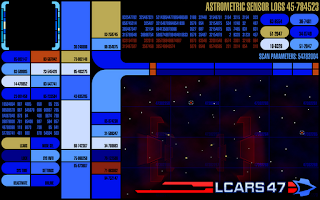 As much as I'd love to recreate the Astrometrics display from Voyager, or the Stellar Cartography lab from Generations, it's not really practical. Unless of course you have a huge convexed monitor, or several holographic screens. 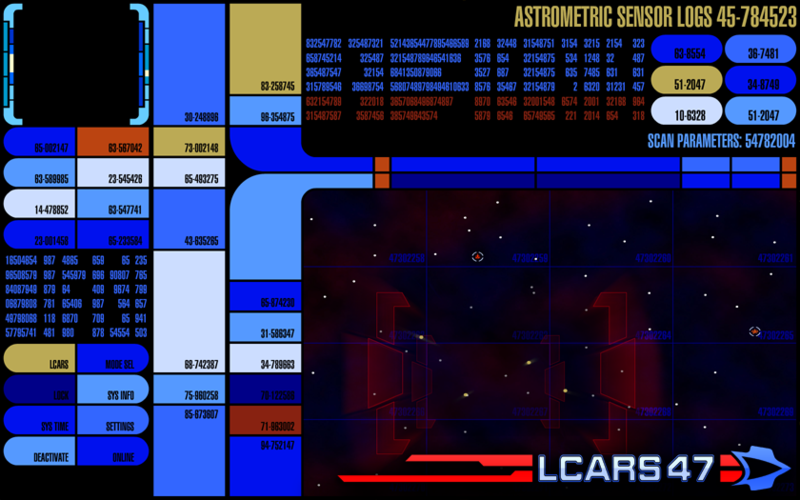 So I thought I'd do the next best thing - an interactive astrometrics display. Simply click on the grid to zoom and see what's floating around in space. Click again to return to the main grid. If you've already seen the previous post, there's three planets up for grabs if you fancy naming them.